New Design Clear Glass Custom Engraved Inverted Arch K9 Crystal Plaque Trophy Award With Base. 2, Proofs are usually generated within 2-3 business days after placing an order. 2, Proofs are usually generated within 2-3 business days after placing an order. If you see a specific design you like please advise and discuss with your artist before proof approval. Packaging&Delivery Packaging Deltails : Safe packing 1pcs/inner box,with strong foam inside,then into carton box. Delivery Detail : Shipped in 10 days after paymet. Item Name Crystal medal Brand Name JIADA Place of Origin Pujiang county, Zhejiang Pro. Medallions are a good way to recognize 1st, 2nd and 3rd place for military, academic or sporting events. Name plate is one of our main products, we have more than 10 years experience on metal crafts. (8) Strict management system to supply you high quality products and on time delivery. 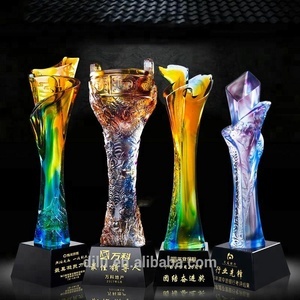 Alibaba.com offers 9,638 custom design trophys awards products. About 46% of these are crystal crafts, 30% are metal crafts, and 12% are plastic crafts. A wide variety of custom design trophys awards options are available to you, such as trophy, crystal diamond, and medal. You can also choose from crystal, metal, and plastic. As well as from souvenir, business gift, and art & collectible. And whether custom design trophys awards is sports, letters, or tv & movie character. There are 9,823 custom design trophys awards suppliers, mainly located in Asia. 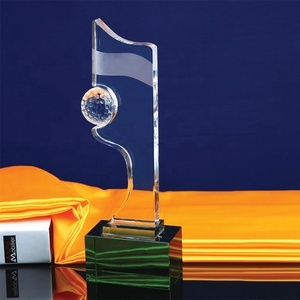 The top supplying countries are China (Mainland), Hong Kong, and India, which supply 98%, 1%, and 1% of custom design trophys awards respectively. 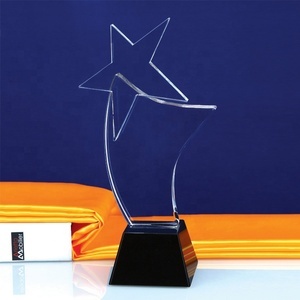 Custom design trophys awards products are most popular in North America, Western Europe, and Domestic Market. You can ensure product safety by selecting from certified suppliers, including 1,297 with ISO9001, 1,212 with Other, and 139 with BSCI certification.